This small surface barbell is meant to be worn as a lip piercing or as an eyebrow piercing. 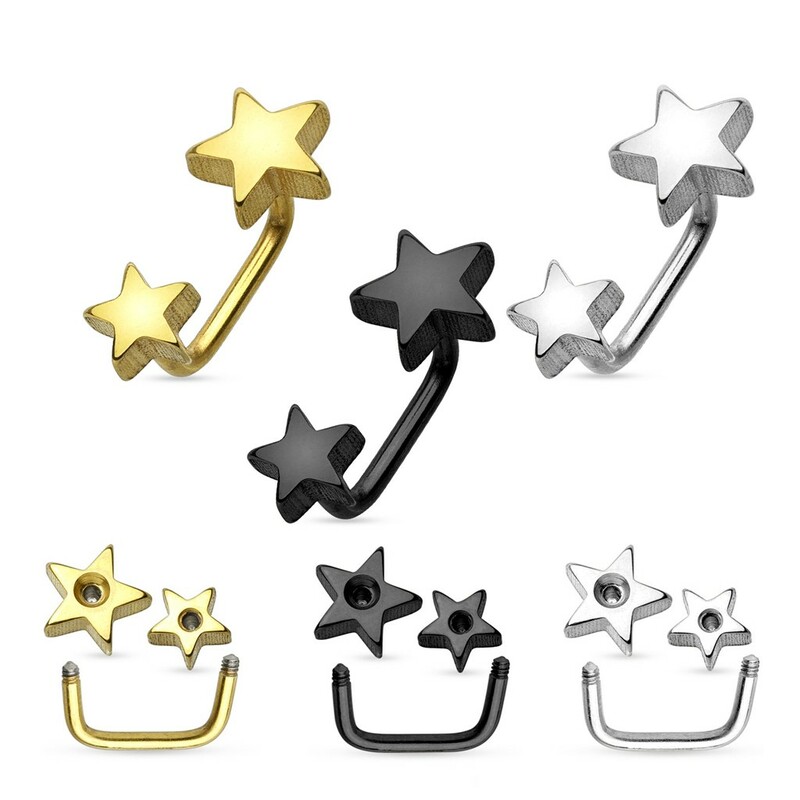 With a short bar of 8 mm this surface barbell ends in two differently sized stars. The biggest star is 7 mm wide, the smaller star is 5 mm.